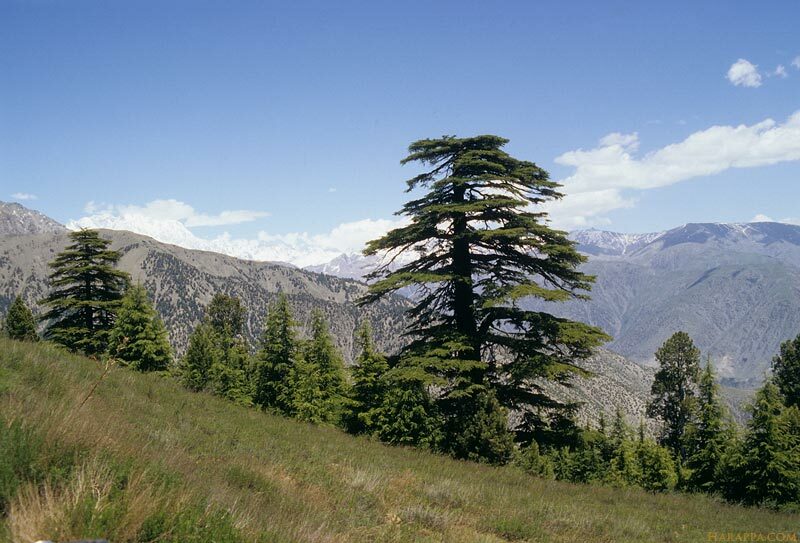 The aromatic cedar or deodar growing in Chitral valley is still used to make houses and coffins, following a tradition that dates back to the first Indus cities. Beyond the snow capped mountains in the background is the region of Badakhshan, Afghanistan, a major source of the deep blue lapis lazuli. This valuable rock was mined during the Indus period and traded throughout the Indus Valley and to far off Mesopotamia and Egypt.